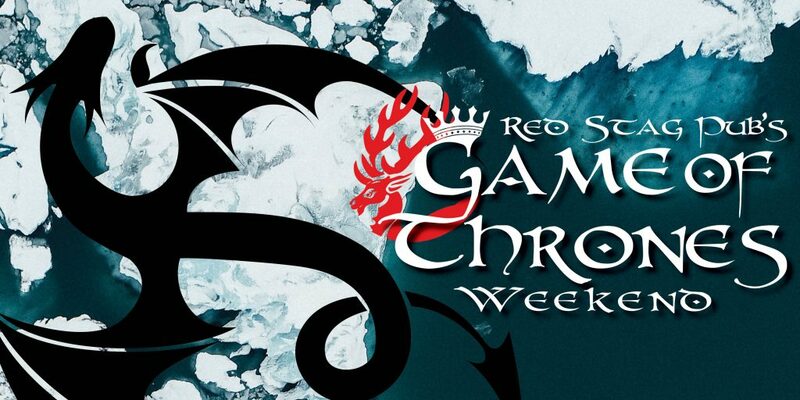 Join McCarthy’s Red Stag Pub for our GOT show trivia night to wrap-up our weekend of GOT events. Challenge your fellow fans to join you in testing all GOT knowledge. Cosplay highly encouraged. GOT Show Trivia Night is free, from 7 to 9 pm, however, with our limited space, you must register in order to reserve your spot. Last day/night for GOT themed Drink and Food specials.